Yesterday started out VERY early as we had Warren stay in our room. Late Friday night, our Nanny (Yaya) sent me a wrong message that was supposedly sent to her husband. The message contained a derogatory remark pertaining to Hubby. Though Yaya denied it to death (who would admit it, right? ), in the end, we decided to let her go yesterday (Saturday). So, I was definitely in panic mode since I had LOTS of things to do for work and business in the next few weeks. Good thing, my friend Brian and Susanna and Achie Lilliam recommended either an agency or a Yaya. The first person I called was the Yaya recommended by Sana. Unfortunately, she is still working for someone else and is only able to start by January. Afterwards, I contacted the agency Brian recommended. They got us an appointment on the same day. Achie Lilliam’s agency also got as appointments with yayas on the same day. So, after putting Warren to sleep and asking Josie to look after him, we drove to Manila to conduct the interviews. It was around 12 noon. 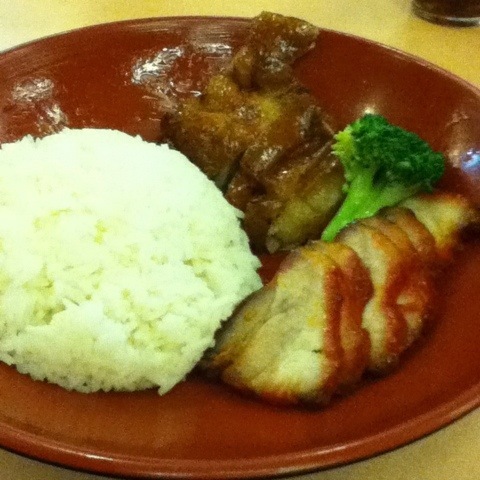 Since it was lunch time, we decided to eat at Golden Fortune in Pacific Center. Its been quite some time since I dined at this area again. My mom used to work for a bank that’s VERY close to this area. How the place has changed! Pacific Center has been renovated and its ground floor is now lined up with a variety of restaurants and shops. Anyhow, I had an Asado and Roasted Duck Rice topping (PHP146.00). 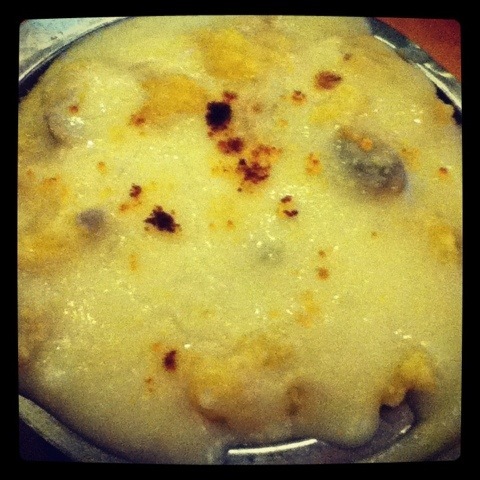 We also ordered this Baked Seafood Rice (this one’s yummy. Hindi nakakasawa!). Along with Wanton Noodle Soup, 2 viand rice topping combination, Hakaw and Siomai, the bill totaled to around PHP850.00, Here’s a picture of what we had. We rushed home as my Mom-in-law and Hubby had to go to a wedding reception while me and my mom are watching a play, Little Mermaid. 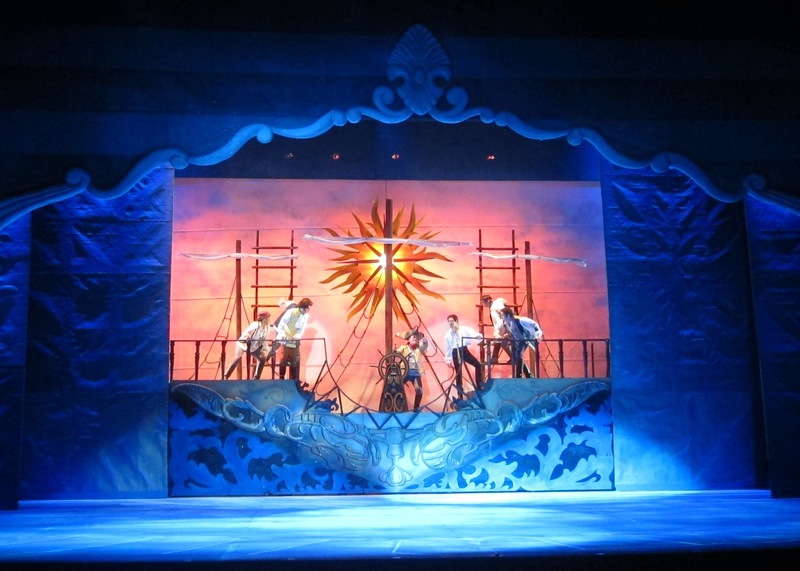 Top billed by Rachel Ann Go and Eric Santos and produced by Atlantic Productions, “The Little Mermaid” is based on the classic Hans Christian Andersen fairy tale. Some of Disney’s most popular songs are featured in the show, including “Part Of Your World,” “Kiss The Girl,” and the Academy Award-winning Best Original Song “Under The Sea.” This production is definitely world class! The costumes are spectacular – from the mermaid costumes to Ursula’s tentacles to the Flamengo’s pink costumes. My mom couldn’t stop talking about the mermaid’s tails. It feels like you’ve been transported to the kingdom under the sea! The transition from one act to the other is very smooth. The choreography and lines are very entertaining. The voices and the blending superb. The only criticism I have is that Eric Santos’ needs to make an improvement in his diction when he delivers his lines. Filipino twang is still evident. Rachelle Ann Go is perfect for the role of Ariel.She is definitely a world class talent – both in acting and singing! Unfortunately, picture taking wasn’t aloud so this was the only picture I was able to take – Scene 1. If you haven’t watched Little Mermaid, GO watch it! Bring the kids as they will definitely enjoy it! Its showing in Meralco Theatres. Kudos to directors Mr. Bobby Garcia and Ms. Chari Arespacochaga! For tickets and other information on Atlantis Productions’ The Little Mermaid, you can contact 892-7078 or 840-1187.